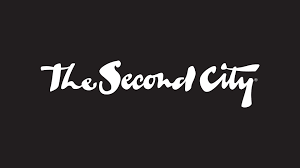 While living in Los Angeles, I tried out my hand at improv at the famed Second City. Each Sunday afternoon, our Improv 1 class gathered to play games, act out skits, and laugh together. As I was taking the class, I remember thinking that much of what we were learning – and doing – was applicable to life. 1. Acceptance: One of the first improv lessons is a concept called “yes and.” If you’re in a supermarket skit with someone, and he blurts out, “Look, there’s a dinosaur,” instead of freezing or saying “Dinosaurs don’t go to supermarkets,” you have to play along. In practice, you acknowledge what he’s said (the “yes”) and then further along the concept (the “and”). So, in this case, you might say, “And he’s coming right at you!” Off the stage, yes-and’ing life can have dramatic implications for mental health. We know that refusing to accept our circumstances is the root of much distress, as we resist against the discrepancy between how things are and how we want them to be. Instead of bumping up against what comes our way, what if we accepted whatever it was (referred to in dialectical behavior therapy as “radical acceptance”) and then “and”-ed it? When faced with adversity, what if our primary response was acceptance (the yes) and what to do about it (the and)? 2. It takes a village: Something that gave me comfort whenever I acted in a skit, which wasn’t my favorite thing to do, was the improv guideline that the performers are all in it together. So, if I couldn’t think of the next thing to say, then the person acting with me was equally responsible for rescuing the scene. Wouldn’t it be nice if, when facing difficulties, we allowed ourselves to be vulnerable and reached out for help/support, instead of thinking that the responsibility was all ours? What if we all agreed to help each other during our most challenging scenes? 3. Find humor in your mistakes: Even when someone botched a scene, how the person handled the “error” could become fodder for perfect comedy. Writing the mistake into the script was often the funniest part. What if we wrote our errors into our life scripts? What if we made habit of laughing at our foibles instead of blaming and shaming ourselves? 4. Laughter is medicine: Not many things feel as good as uncontrollably laughing with other people. We underestimate the function that laughter – and fun – can serve in our lives. It wasn’t long before Sunday afternoons became a natural high for me. Life can be challenging at times, and unbridled laughter serves as a respite from the headaches of work, family, stress, loss, trauma. . . even headaches themselves. If your interest is piqued, you might want to check out an improv class. If not, these lessons from the stage are easily yours to apply to daily life.